I believe in the Bible and the teaching of Jesus since I was a kid. I have compassionate for animals and that is why I became a vegetarian. I have tried to listen to my spirit and act upon that voice, however, when I look at nature, it is just too cruel. Like why does a spider eat its partners after mating. Why do snakes shallow frogs etc? Recently, my husband rescued a frog from his car workshop and would like to keep it as a pet. Now I have to feed it with crickets and worms and that upset me very much. We are both vegetarian and so as both our pet dogs. Therefore I am looking for answers again, maybe frogs can be vegetarian as well. I mean baby frogs feed on plants and why when they are on lands that have to eat insects. 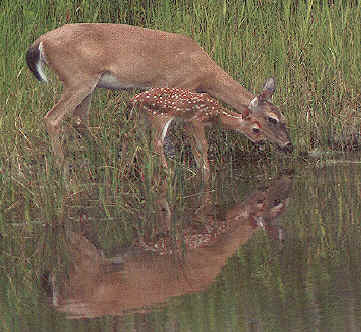 I know that is nature and I can’t interfere with nature but why did the Creator create life feed on another life. Why did The Creator say to Simon Peter “ kill and eat” in Acts 10 (story of Cornelius). Perhaps these are all the realities of life that we can’t avoid and perhaps the Creator did want us to kill and eat. But then why did he plant a seed of compassionate in us then? I would like to hear your opinion on this and thank you very much for sharing my struggle with an answer. Thank you very much for you letter and comments. You are not alone in your feelings and questions about this violent world. Let's begin with your last question about Peter. I wrote a commentary on this Bible passage which you may find interesting. When we look at God's intent, which is depicted in creation and Eden before the Fall, and in heaven, we see that there is no pain, suffering, mourning or death. We need to focus on this. Everything else is part of the corruption on this earth. You also might be interested in a sermon I wrote about living in the will of God rather than in the concessions. About the frog that your husband rescued: Frogs also eat some plants, too, and really should be in a pond with other frogs. The reason you feel so badly about feeding the frog is that you are playing into the curse. As long as God allows the curse and corruption of this earth to continue, let God provide the food for his creatures in a natural way. The very fact that your dogs are vegetarian is proof that we can play a part in bringing the peaceable kingdom (Isaiah 11:6-9) to earth as it is in heaven.